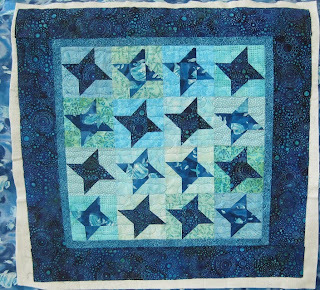 Barbara brought me this cute baby quilt. She said that she wanted it to look like water. 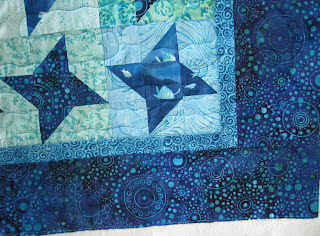 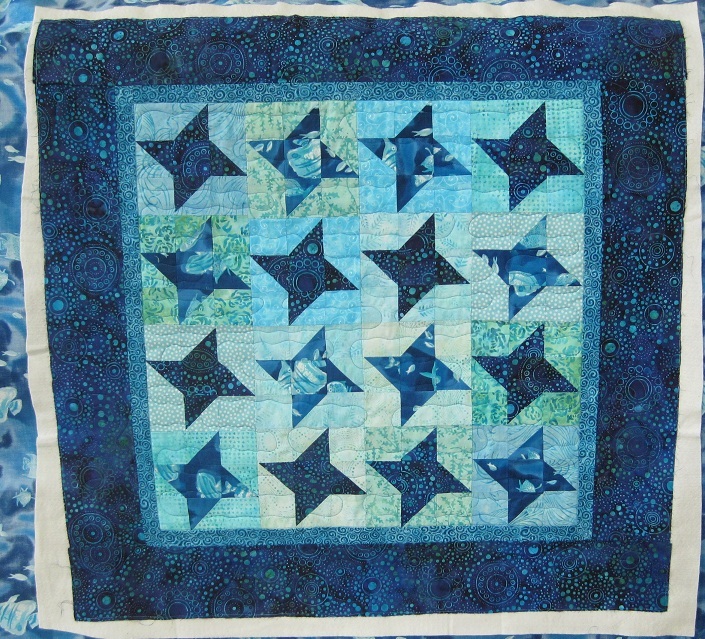 I did water meander in the center section and quilted waves on the border.